Freedom requires accountability. Come Rally with us! 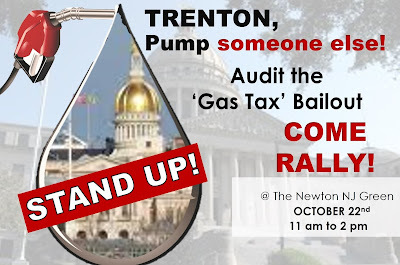 Come to the birthplace of a most punishing tax on families and let your voice be heard. We have been saddled with one of the largest tax increases in history, be part of a movement to demand that NJ Transit, DOT and Port Authority be fixed. Come and show the Politicians that accountability requires a forensic audit of wasteful transportation spending. Stand tall, have your voice heard.